Hello, my name is Samantha O’Halloran, I am a wife, a mother, a lover, a carer and I am married to my best friend Aaron. 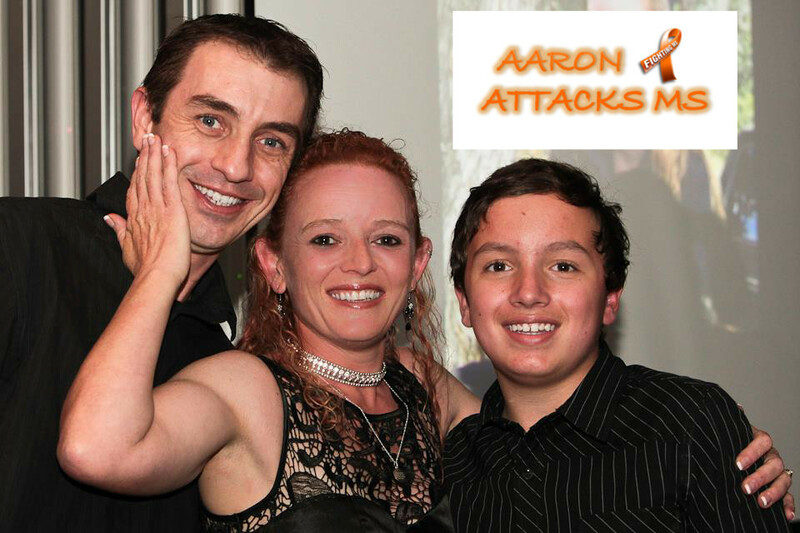 This is a chapter in our life that is all about ‘Aaron Attacking MS’! It’s our family’s journey from before diagnosis to now – our quest to find an answer to stop the MS that is stealing Aaron’s young life away from him, from me, and from our son Jacob. In 2012 we had been running our own small Motorcycle business for a few years and were living life to the full like any young family. Aaron and I were both involved in Motorcycling as a living but also on a social level as it had always been our passion. Aaron is a Motorcycle and Car Mechanic, he has worked in numerous Motorcycle Dealerships and Repair shops, he had time as a Motorcycle salesman and has also sold parts and accessories. I had worked in motorcycle accessory and part shops, as well as dealerships, for over 10 years so it made sense to turn that into our way of making an income for our family as well as spend more quality time together. We were busy and active involving ourselves in fundraising events and working 24/7. 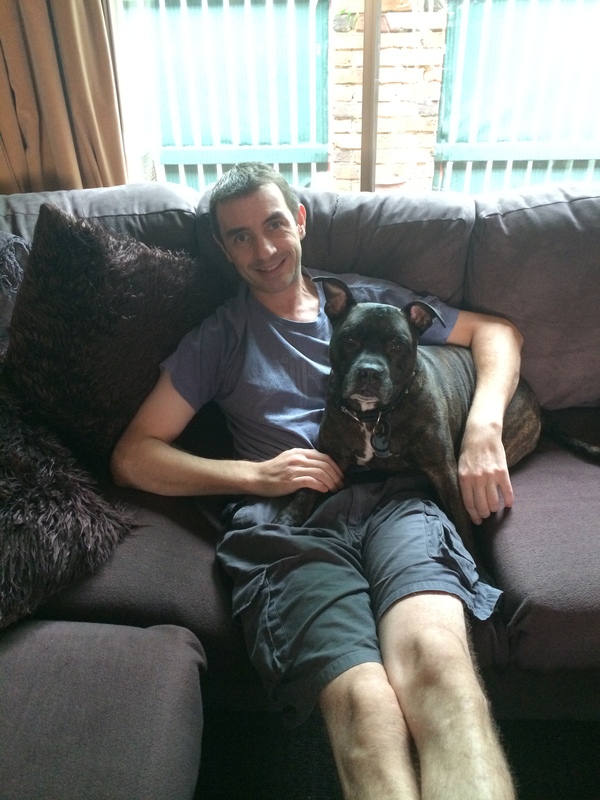 In early Autumn of 2012 Aaron wasn’t doing well, he was feeling odd symptoms that he hadn’t mentioned and one night while sitting on the couch together watching TV he commented on a sharp pain down his left side and the feeling he couldn’t move his arm. He also noted tingling, or pins and needles, in his hand and said it wasn’t the first time he had experienced this. I immediately thought Stroke or Heart Attack! He didn’t seem overly distressed and being a ‘man’ said he would get over it and see a Dr in the next few days. It was at a massage therapist a few days later that we got the first inclination that something was wrong. Aaron commented on the feelings he was having and the masseuse, who spoke only a little English, pointed at Aaron’s neck and said in strained English – “something wrong here, something not good – see Doctor”. We left concerned and headed straight to the local Medical Centre. The GP we saw sent Aaron for x-rays based on his presenting symptoms and when they returned he referred Aaron to an orthopaedic surgeon. At this stage we thought we might be finding some answers as this was a surgeon we were seeing, surely he would see what was wrong. Aaron was sent for more scans, this time a MRI, to see if what they suspected was happening in his neck. The Dr explained that Aaron had a slightly blown disc in his spine that is what would be causing the numbness and tingling on his left side – symptoms by this stage had increased and his whole left side including left leg were now weak and he seemed to always be exhausted. We agreed that Aaron should have surgery on his neck, thinking this would fix him. Aaron’s surgeon had done the procedure regularly, on hundreds of footballers, telling Aaron he would be up and active, being able to load motorbikes for our business on the ute (a job I had to take over when Aaron started to decline) and ride motorbikes, around 6 weeks post surgery. Aaron’s surgery was scheduled for the last week in Au gust 2012. Strange the way things come about I had won a competition on the radio for a 3 day weekend away in Tasmania for Aaron and I! 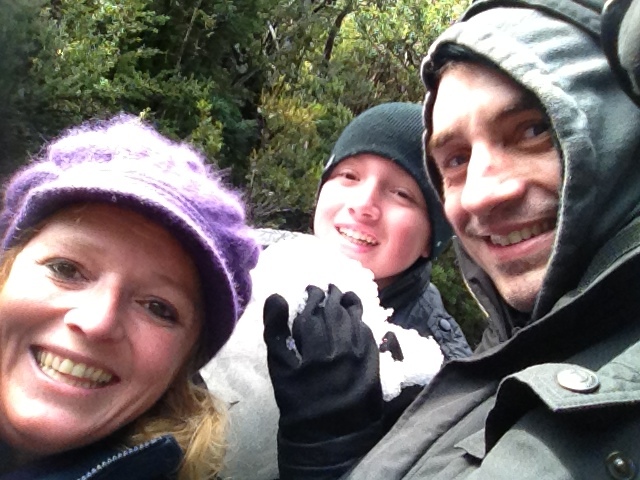 So we decided to turn it into a 5 day family holiday and we took along Jacob too. While we were away, the week prior to surgery Aaron was weaker and couldn’t walk much at all and missed a lot of touristy things sitting it out on the sideline while Jacob and I took off enjoying bush walks and tours that could only be done on foot. We returned for the surgery and the Dr reported it seemed to be successful. Aaron was kept in intensive care for a few more days than is standard for the procedure, and then on the ward for a f ew days. He was having problems walking and holding himself up, and the numbness and tingling had increased not decreased. He was sent home into my care. The surgeon and his staff didn’t visit; they only called on the phone. 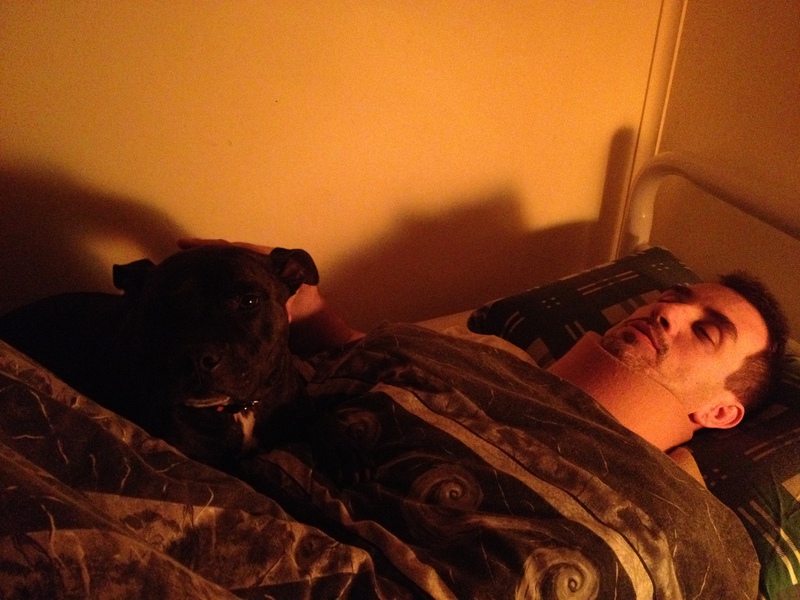 Each time I would explain to them that he couldn’t even walk to the toilet and was bed ridden with bad headaches, and increasing numbness, which was now starting on his right side. There was little attention payed until 12 weeks post surgery when Aaron was struggling to walk and the weakness and tingling were now on both sides. The surgeon made an appointment for us to come into his surgery after arranging another complete spine and brain MRI with contrast. We painfully attended the appointment and saw the look on the surgeons face when he looked at Aaron’s scans. This wasn’t good. He made comment about a few things that he noticed, possibly some type of matter and suggested we see a Neurologist. I remember at the time just the word Neurologist scared the hell out of us – we drove home in silence and the following day I requested the report from the scan. 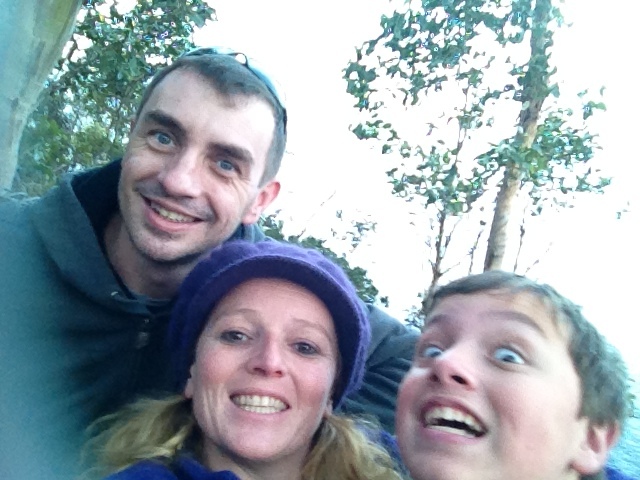 It didn’t take me more than a minute reading the report to recognise the words, and after googling a few I didn’t know, I thought I was reading that Aaron had MS… I didn’t tell Aaron at the time as I am not a Dr nor am I trained in reading medical scans. I was lucky enough to find a Neurologist that could see us quite urgently as we were now fast approaching the Christmas period when Dr’s tend take big holidays and close surgeries. The first Neuro we saw was very accommodating, he saw us as his last patient on a Friday night at 6pm. It was in his office that we had confirmation, that yes Aaron has MS.
Dr P. suggested Aaron be admitted immediately for a methyl prednisone course as he believed Aaron was having a relapse. We were lost, confused, and had no idea what a relapse even was… neither of us even knew what MS really was. We both remember reading books for the MS Read-a-thon as young children, raising money for people that got MS and had to live in nursing homes – to say we were shocked and scared was an understatement! That night Aaron’s journey, our journey, with MS as a part of our lives began, just like that. Aaron was admitted for the steroids and had the three day course to try and stave back the relapse while we worked out what we would do next. Dr P. suggested we get an appointment with an associate of his that had more experience with MS, and we were referred to him. Dr C. saw Aaron quite quickly; we took all the scans Aaron had endured over the past 8 months with us. Dr C. suggested that the scans showed lesions that could be older than 20yrs, as well as new lesions. Looking back it all made sense, all the injuries that Aaron had not recuperated from as he should have, or was more incapacitated that the Dr’s had said he would be, for 20 years now made sense. A relief, but not a good one. Dr C. was quite quick to offer Aaron Tysabri to manage his MS, which despite costing the Govt. over $30,000 a year and being the very best available, we later discovered was not safe or effective in the long term. Aaron was tested for the JCV virus and told the results would be back in 6 weeks; in the meantime an appointment was booked for his first Tysabri infusion. On the day before the scheduled infusion, we received confirmation that Aaron is JCV+. This increased his risk to contract a serious virus that can lead to death via a brain disease – it can also cause irreparable injury to the brain. 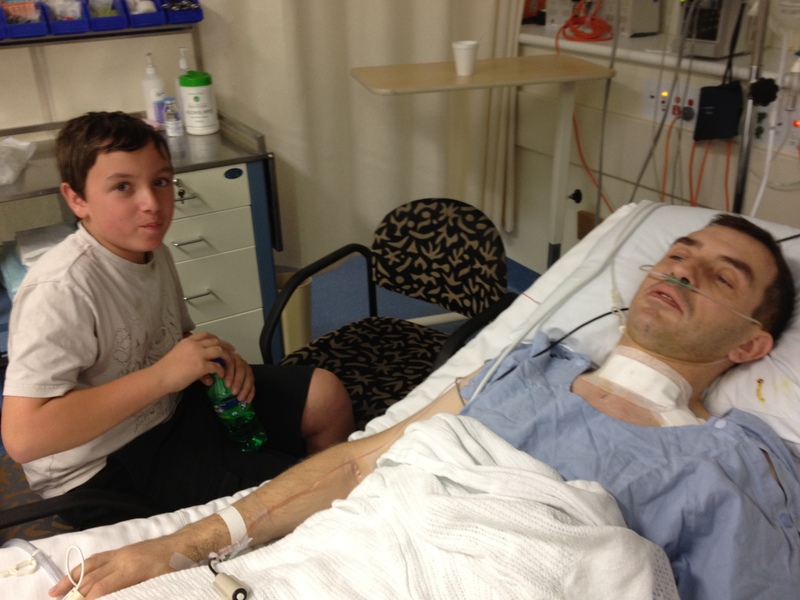 Dr C. encouraged Aaron that the risks were relatively low 1<1000 …. Not particularly nice looking statistics to us! Aaron reluctantly went ahead with the three hour transfusion and was sent home. Within two days he was experiencing excruciating headaches and I was driving him to the emergency ward – three days later he was diagnosed with Meningitis. After a 10-day hospital stay he was discharged and back to Dr C. we went. He then suggested we try the next step down the treatment ladder for MS, another drug that has huge health risks attached, including dropping the heart rate, as well as your white blood cell count, making you susceptible to viruses and disease. After already making it through what we thought were massive life changes in our 21 years together, this ride was taking more lows than we had ever expected. Aaron was tested for macula degeneration – another side effect of the only drug available, his results were good and he was prescribed Gilenya; a daily tablet costing our Govt. $2800 for 28 tablets. Around 3 months into Gilenya I discovered Fampyra. I did some research and discovered it was again an expensive medication that could maybe help Aaron remain more mobile for longer – unfortunately Fampyra isn’t on the Australian PBS so it would cost $600 per month out of our pocket. On the Govt. Disability and Carers pension ,as Aaron is not 100% mobile and needs my full time care, that amount of money alone is 40% of our monthly income. Add to that he is also on 4 other medications that we purchase monthly. From my online involvement I discovered a compound version of the drug was available and we had it scripted for Aaron. It is not a drug that will at all halt Aaron’s MS or delay it, but it is designed to increase his mobility and decrease his extreme fatigue. Gilenya didn’t help, scans over the time he was on it showed old lesions becoming active and new lesions forming. Dr C. suggested coming off Gilenya and trying Tysabri again… Not a risk Aaron is willing to take; it’s his body and his health. So, I re-investigated some other treatments I had looked into at the time of diagnosis. Treatments that were claiming to be effective in giving MS patients a chance at a life free of MS! I had first looked into Hematopoietic Stem Cell Treatment (HSCT) in January of 2013. In the 14 months since my first investigation HSCT was gaining momentum worldwide and there was a lot more information available. I guess those that don’t know might be wondering what Haematopoietic Stem Cell Transplantation is. I would give you all the medical mumbo jumbo but there is google for that. Put simply while in Hospital the Dr takes some Stem Cells out of the patient and then puts the patient thru several rounds of Chemo. Once the Chemo is done, the Dr’s put all of the patient’s own Stem Cells back. It is like they are resetting the ‘system’ so that it forgets it had MS. There is currently a 1-5% mortality rate, but on the opposite spectrum there is a very high success rate with HSCT for MS. Most patients improve in regards to fatigue, memory and cognitive problems, some even have improved mobility. Of all the patients I have been following 100% of them have shown that at the least the progression of their MS has stopped completely. Since Aaron’s MS is getting worse and cannot be stopped with mainstream meds, this treatment seems to be a viable last option. I read, I investigated, I asked, and I probed. Then, as if by intervention, a television segment aired on a national current affairs show, showing a lady who had the HSCT treatment and was in total remission. A few weeks later there was a full story on 60 Minutes about an inspirational young Mum that had also had HSCT and she had travelled to Russia to have the successful treatment. Aaron and I watched the show in tears; at the end we were convinced that this was the treatment Aaron needed to give him back his life! Within 48hrs I had contacted Kristy, done a lot more reading online including finding out as much as I could about the Dr in Russia, and read Kristy’s Introductory guide to HSCT for MS. I was on a dedicated fact finding mission so to discover if this was even possible for Aaron. I personally contacted Dr F. at A.A Maximov Dept. Haematology & Cellular Therapy Clinic in Russia. Dr F. emailed me back within 2 days, with only a few questions after my 1st email with Aaron’s complete medical records. Within 4 days from my original email Aaron was accepted and given a possible admitting date for HSCT in Russia in September 2014 should he choose to follow that path! Dr F. was so efficient and helpful, so compassionate in his emails and really offered to help Aaron. He considers that HSCT may be successful in Aaron’s situation and the “probability to achieve MS stabilisation or improvement is about 80-90%.” How can someone looking down a lifetime of deterioration NOT consider looking into this option! Together we made the decision together that maybe Dr C. wasn’t the best Dr for Aaron given he would not even consider talking about it when I asked about the trials and he had stated it was a ‘radical new treatment that was unconfirmed and had no statistics to prove it worked.’ The way Aaron’s MS was progressing, the massive decrease in his cognitive function and his increasing mobility issues convinced us it was time to do something radical and extreme – even if that meant being a guinea pig or going overseas for treatment. Losing the ability to enjoy his life and partake in activities with our son wasn’t part of our plan! 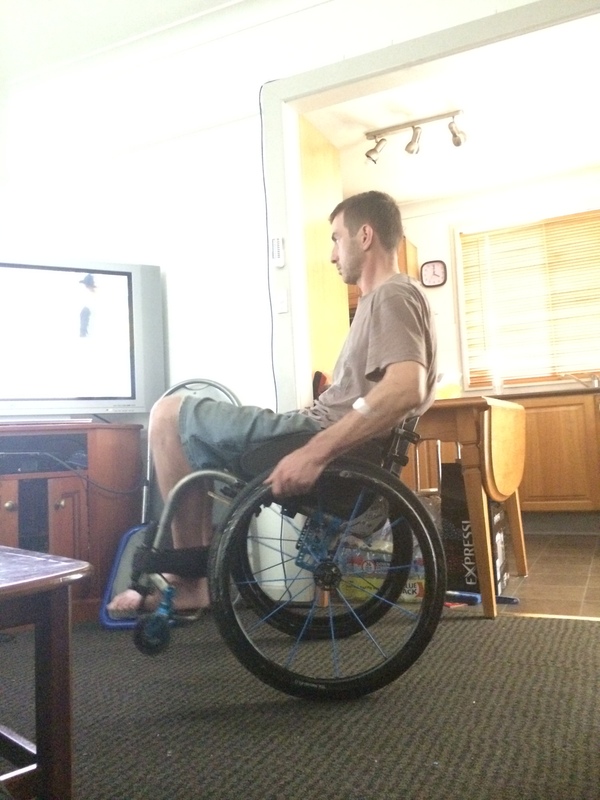 I found a HSCT trial taking place in Australia and we investigated having Aaron assessed to take part. That would require a Neurologist referral, so with Aaron’s consent I started the search to find one. Through contacting various friends and fellow MS carers online I discovered Dr S. who had at the least an interest in Stem Cell treatment. We made an appointment and saw him a few weeks later. The visit was both good and bad. The immediate negative was no Stem Cell trial referral for us at this stage. 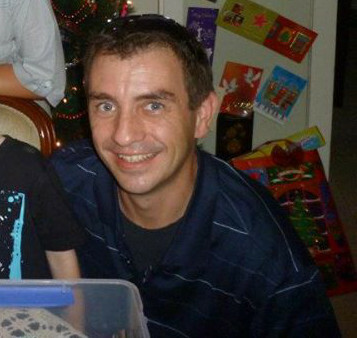 However depending on Dr S. seeing Aaron’s scans from previous years he might be willing to suggest Aaron for the trial! He did say he “definitely wouldn’t count it out down the track”. We go back to see him in April. During the appointment Dr S. confirmed that Aaron has Progressive MS, something we had already predicted ourselves. It was a very informative appointment, Dr S. was very straight forward and he tells it like it is. He is willing to discuss anything and accepts we don’t have to like his opinion and he doesn’t have to like ours. He was forthright in telling us he hadn’t watched 60 Minutes but he did support stem cell. He was realistic in that he told Aaron he “won’t be any better than he is right now” i.e. it’s all down hill from here. A positive is that Dr S. won’t recommend Tysabri for Aaron, the risks are too high. Unfortunately he doesn’t believe that any of the medications currently available can slowdown Aaron’s progression. He did mention trying Gilenya again but that will depend on pre-Gilenya and current scan comparisons. We were encouraged when Dr S. admitted that if Aaron did try HSCT chances were it could halt the disease, he didn’t feel it would improve him but he may not progress further… personally I believe I would choose the stabilisation of a worsening condition any day, even if it does come with the 5% risk attached, particularly when the alternative is to get progressively worse. On the drive home we agreed to move Aaron’s files to Dr S., and continue down this path until next appointment in April. 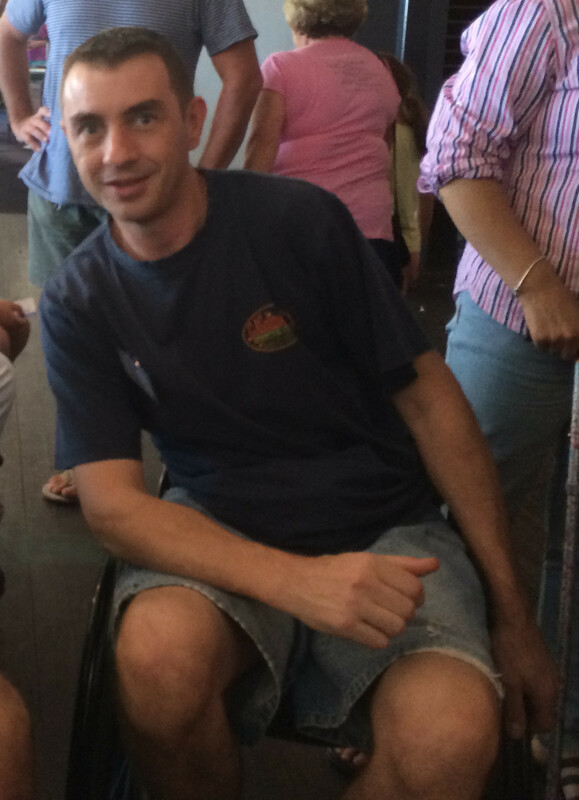 With the acceptance that HSCT is the only choice left now for Aaron and with the chances of him meeting the strict criteria for the trial here on home soil slim but the opportunity to be treated in Russia being possible, we have confirm Aaron’s admission to the clinic in September 2014. ‘Aaron Attacks MS’ was born not only to tell our story and share the journey with our family and friends but to raise awareness about HSCT and start fundraising to ensure Aaron can get to Russia and have the HSCT treatment he can’t get on home soil that could give him back his life!